Well-schooled and skilled at writing detail without overwhelming the reader, you get the sense that Swanson can make an adventure out of drinking a cup of coffee. His novels adhere strictly to historical fact though his narrative is fictional. They are from a part of our past that has been glossed over in our history books; cleverly interwoven stories about American history, which leaves you entertained and enlightened. They are stories that needed to be told. The Black Hills are lost, the Bozeman Trail is closed, Custer is defeated, cherished Sioux leaders are murdered, and the final injustice is delivered at Wounded Knee Creek. 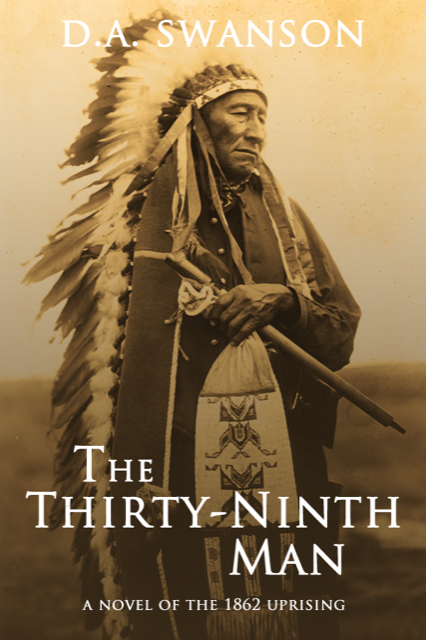 Anton McAllister leads his Dakota family west to escape the white backlash of the U.S.-Dakota War of 1862 as told in Swanson’s preceding award winning novel, The Thirty-Ninth Man. Settling into the Black Hills, Anton and his family merge with the Miniconjou Lakota band of Lone Horn. Anton’s adopted son, Four Wings, befriends the militant warrior Crazy Horse, and their world is turned upside down as they deal with disingenuous treaties, an illegal war brought on by the Grant Administration, and a deranged bounty hunter no larger than a child. Sitting Bull, Red Cloud, Crazy Horse, and powerful men from the Cheyenne and Arapaho Nations make their stand when the army begins to build forts along the Bozeman Trail. Red Cloud wins his war, the great herds of buffalo are methodically destroyed. Crazy Horse and Sitting Bull are murdered, and Wounded Knee Creek becomes the death wail of a free Sioux Nation. To order your author's signed copy of Tears Of Sorrow, click here. The Thirty-Ninth Man is a historical novel culminating with the mass execution of thirty-eight men, the largest mass execution in the history of the United States. August 19, 1825, in a place called Prairie du Chien, Michigan Territory, under the guise of concern but wrapped in a cloak of deceit, the federal government began a series of treaties with the Sioux Nation that would lead to the outbreak of the Sioux Wars, and the end of a way of life. In 1862 with the beginnings of the Sioux Wars in the Minnesota River Valley, a mixed blood named Anton McAllister balances on the razor thin line separating corrupt Indian agents, unscrupulous fur traders, the U.S. Army, and powerful chiefs from the Chippewa and Dakota nations. When his best friend is falsely accused of war crimes and sentenced to die, Anton finds himself in a race to save his friend from the gallows. To order your author's signed copy of The Thirty-Ninth Man, click here. 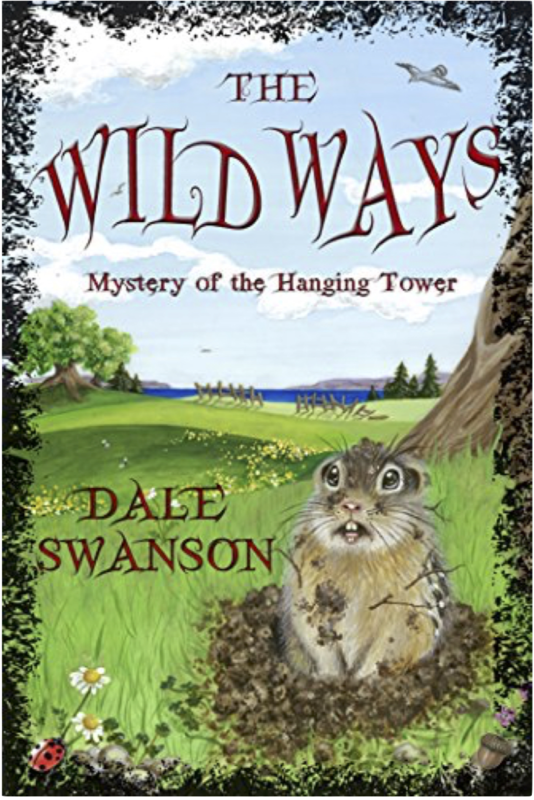 A loudmouthed squirrel named Chatter, a fidgety gopher named Archie, a raccoon with special powers named Ring, and all the animals living on Enchanted Island select ten-year-old Oscar Johnson to receive the Wild Ways, the language that allows animals to communicate with each other. As development threatens their peaceful habitat, the animals need Oscar to help solve a thirty-year-old mystery to save their beloved island and the surrounding forest they call home. With his new power to talk to all creatures, Oscar receives a series of clues provided by the animals and helps FBI agent Jim Brandt solve a murder mystery and uncover a sinister plot to use the island for nefarious purposes. Together, they race against the clock to discover the final piece of a puzzle that reaches into the highest seats of power within the U.S. Government. To order your author's signed copy of The Wild Ways, click here. To learn more about the author, Dale A. Swanson, click here. ​To contact the author, click here.